BALTIMORE (CNS) — The victory of Republican President-elect Donald Trump, the need for the nation to heal from the acrimony of the presidential race, and concern for the well-being of immigrants and refugees under the new administration took the spotlight as the U.S. bishops opened their fall general assembly in Baltimore. 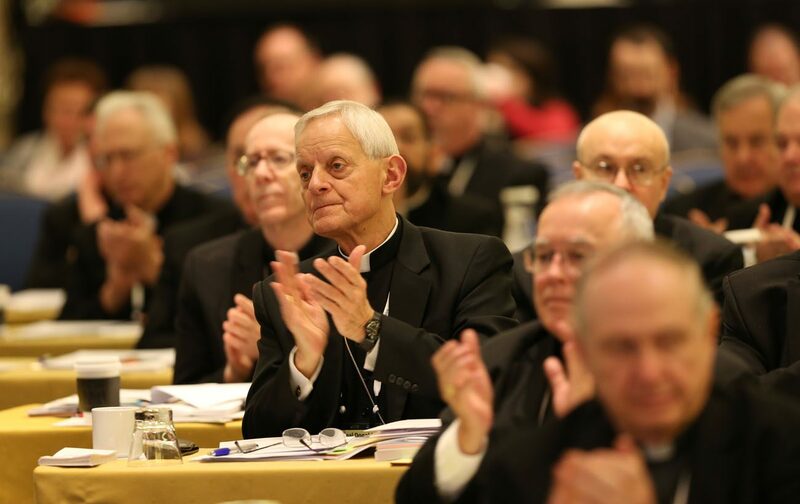 They heard reports on the 2017 convocation of Catholic leaders to be held in Orlando, Florida, next July, and got details of a simple celebration next year to mark the 100th anniversary of the U.S. Conference of Catholic Bishops. Contributing to this story were Mark Pattison, Rhina Guidos, Carol Zimmermann and Dennis Sadowski.